The freshclam command will update virus database. 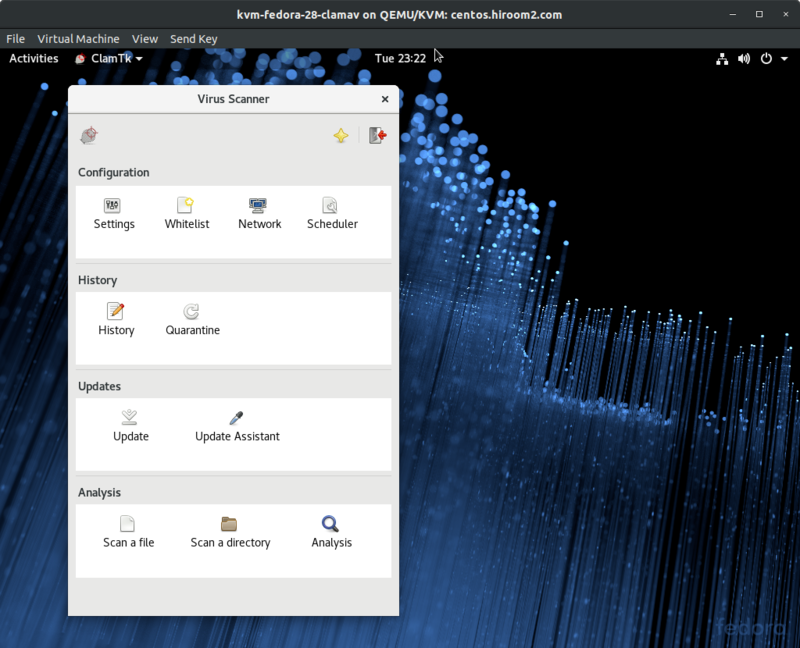 The freshclam command includes in clamav-update package. Installing clam-update package will enable cron job which will run /usr/share/clamav/freshclam-sleep for each 3 hours. If FRESHCLAM_DELAY value is not "disabled-warn" nor "disabled", freshclam-sleep will run freshclam command. FRESHCLAM_DELAY default value is "disabled-warn". So, for updating virus database automatically, you need to install clamav-freshclam package and replace FRESHCLAM_DELAY value. For changing update interval, you need to modify the following file. The clamd daemon load database once and wait as a daemon. And run virus scan by request from clamdscan command without loading database. Edit /etc/clamd.d/scan.conf which will be used by clamd@scan.service. Create symbolic link from /etc/clamd.d/scan.conf to /etc/clamd.conf which will be used by clamdscan command. Allow selinux setting for clamd. Add running clamdscan user to clamdscan group. Reboot for updating gpasswd setting. 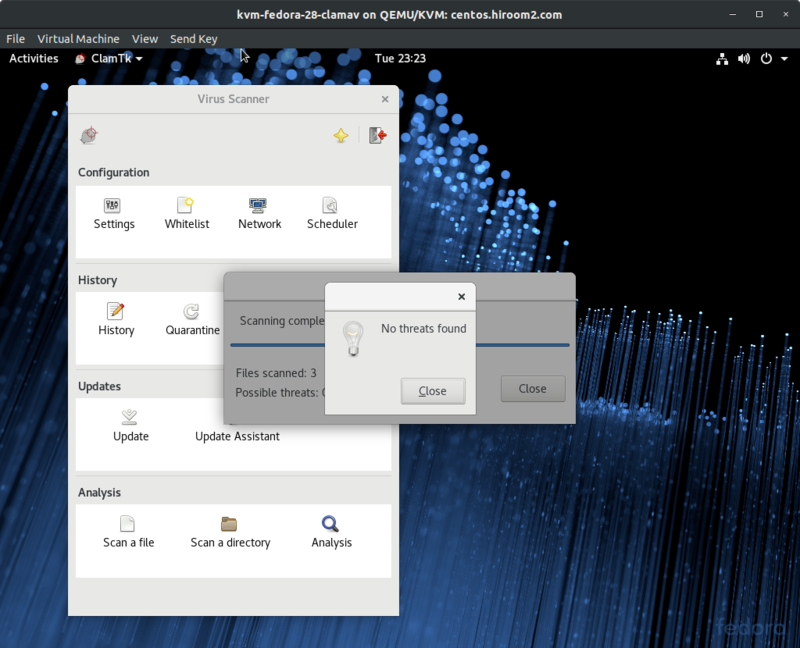 After reboot, you can run clamdscan. clamtk is as the following. You need double click to select item.